Contents of this article:properties of concrete in plastic state,properties of concrete in hardened state,concrete in setting state,workability,water cement ratio. When the concrete is first mixed it is like bread dough . It is soft and can be worked or moulded into different shapes. In this state concrete is called PLASTIC. Concrete is plastic during placing and compaction. The most important properties of plastic concrete are workability and cohesiveness. After concrete has set it begins to gain strength and harden. The properties of hardened concrete are strength and durability. Hardened concrete will have no footprints on it if walked on. Concrete then begins to stiffen. The stiffening of concrete, when it is no longer soft, is called SETTING. Setting takes place after compaction and during finishing. 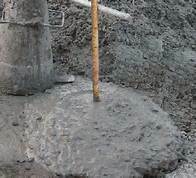 Concrete that is sloppy or wet may be easy to place but will be more difficult to finish. Good workability. Workability of concrete may be defined as the ease with which it can be mixed, transported, and placed in position in a homogeneous state. No segregation. Segregation may be defined as break­ing of cohesion in a mass of concrete during transportation. If the quantity of water in the mix is more, the larger/sized aggregates tend to separate, thus causing segregation. A hardened concrete must possess the following, properties. Strength is defined as the resistance of a hardened concrete to rupture under different loadings and is accordingly designated in different ways i.e., tensile strength, compressive strength, flexural strength, etc. A good quality concrete in hardened state must possess the desired crushing strength. Durability is defined as the period of time up to which concrete in hardened state withstands the weathering effects satisfactorily. This property is mainly af­fected by water cement ratio. A good quality concrete in hardened state must be durable. 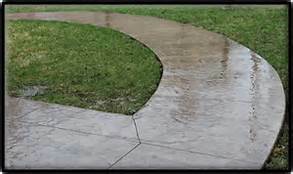 The impermeability of hardened concrete may be defined as the property to resist- entry of water. This property is achieved by using extra quantity of cement in concrete mix. A concrete in hardened state must be impermeable. Elasticity. Though hardened concrete is a brittle / material, it is desired that it should possess adequate elas­ticity. Shrinkage. 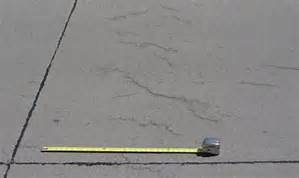 A hardened concrete should experience least shrinkage. This property is guided by water cement ratio. Shrinkage is less if the water cement ratio is less. Thermal expansion. A hardened concrete should possess least coefficient of expansion.